Actor Gopichand’s next film Pantham producer by K.K. 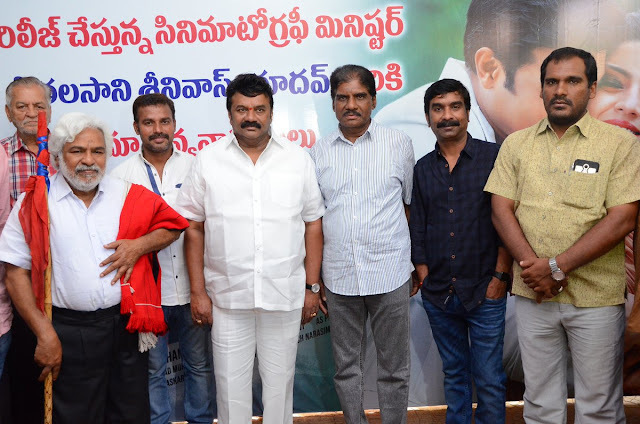 Radhamohan on his Sri Satya Sai Arts banner is set to release on July 5. The team recently wrapped up shoot and is busy with post production now. The team had released their first single First Time recently much to a positive response. And now, they have released the second number from the album, Right Now. Telangana’s Cinematography Minister Talasani Srinivas Yadav unveiled it. Directed by K. Chakravarthy, who wrote the screenplay for films like Balupu, Power and Jai Lava Kusa, the film is Gopichand’s landmark 25th movie.